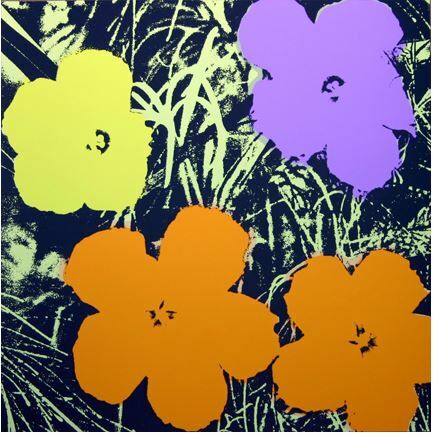 During his lifetime, Andy Warhol authorized reproductions of some of his most popular series of silkscreens, making new silkscreens from the original stencils in different colors. These hand-made silkscreens, printed by Sunday B. Morning are recognized as authentic reproductions in the catalog raisonne of Warhol's graphic works. The blue stamp on the back of each piece reads "Fill in Your Own Signature: ___________________", a nod to Warhol’s eccentric style and sense of humor.